Condor Parang Machete with Leather Sheath | BUDK.com - Knives & Swords At The Lowest Prices! 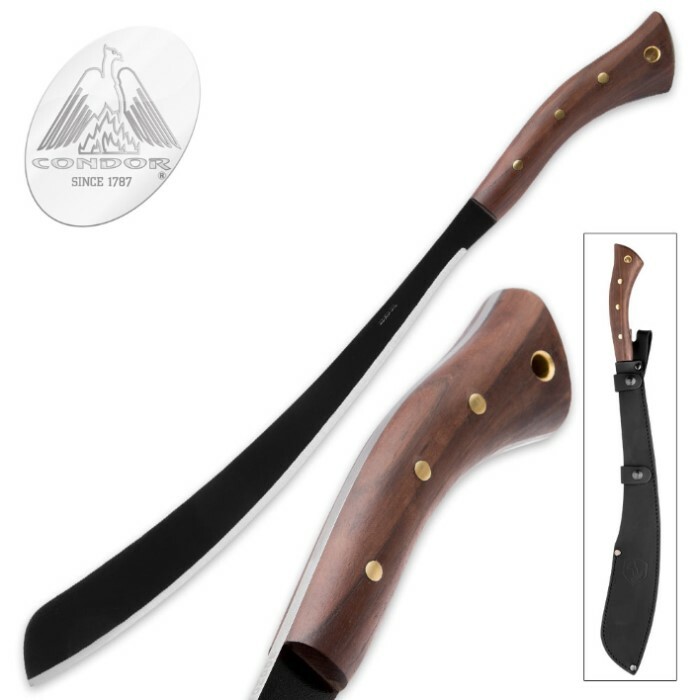 From the jungles of Malaysia comes the parang, an extremely well balanced heavy machete that will slice, chop and cleave its way through anything. 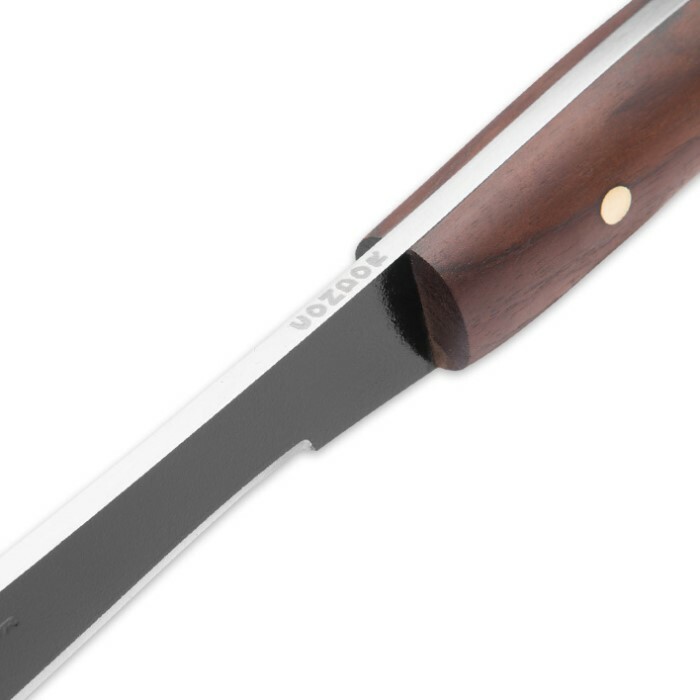 The 17 1/2" 1075 high carbon steel blade's distinctive tapering makes this one of the best performing large cutting machetes on the market today. A tough black epoxy coating protects the blade from the elements, and a contoured hardwood handle makes it a pleasure to wield. 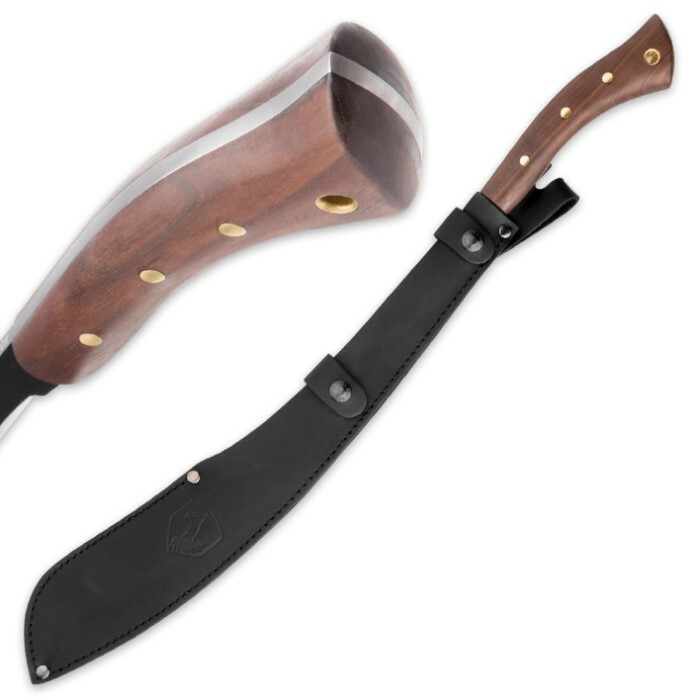 Includes a durable black leather sheath. Measures 24" overall. First impressions... It is very solid and handle is sturdy. Haven't taken it camping yet but seems to be worth the money. Just as advertised and shipped very fast. I'm impressed overall with my whole purchase. Love it, thing is a functional work of art. Moved to a 3 acker piece of land near the everglades. I've learned to apreciate a good machette. Outstanding tool you wont be sorry you picked up. The best... cant find one for a better price!!! I got one and i cant put it down!!! fully recommend this to anyone who wants a good heavy chopper!!! When I stumbled upon the "Condor Knife and Tool Co." items through Bud K, I had no idea what a treasure trove was available. The first one I ordered, the golok, is superior to 200 year old specimens in my antique collection. Not knowing what else was available, I simply put "Condor" in the search box and this popped up!!!! In "Bladed Weapons of Indonesia" this is referred to as a "Parang Nabur" that was used throughout parts of Java as both a jungle knife and a head taking weapon. Tribal pieces usually had a horn handle with a VERY THICK TANG that tapered down to a razor sharp blade with a sweet spot at the very end, a unique combination that seems to come alive in the hand. Let's face it, one doesn't take 200 year old antique head hunter's swords and use them for yard work.....who knew that contemporary pieces of exceptional quality were available as such a reasonable price. To say that I am ecstatic is an understatement. Bud K, thank you for the amazing find, jungle knives and swords made in a part of the world that knows jungles and it shows.!!!! Solid Parang. Came in with what I ordered today and was pleasantly surprised. Makes me want to chop some branches down haha.